Now that Dhawan’s game is starting to come together on the field, the Delhi team look like a very different outfit; a very dangerous outfit. “It is with a heavy heart that we announce that one of our long standing players, Shikhar Dhawan, will be playing for another franchise in 2019. We were delighted to pick Shikhar up in the auction after using one of its RTM cards,” the Sunrisers had said in a statement after they decided to swap Shikhar Dhawan for Delhi who had released all-rounder Vijay Shankar, spinner Shahbaz Nadeem and the young Abhishek Sharma to Sunrisers in November 2018. Dhawan was with Sunrisers since 2013, becoming their leading run-getter scoring 2768 runs from 91 innings. His experience in the format was what Delhi were after. “We are thrilled at the prospect of having Shikhar turn up in DD colours for the next season of the IPL. 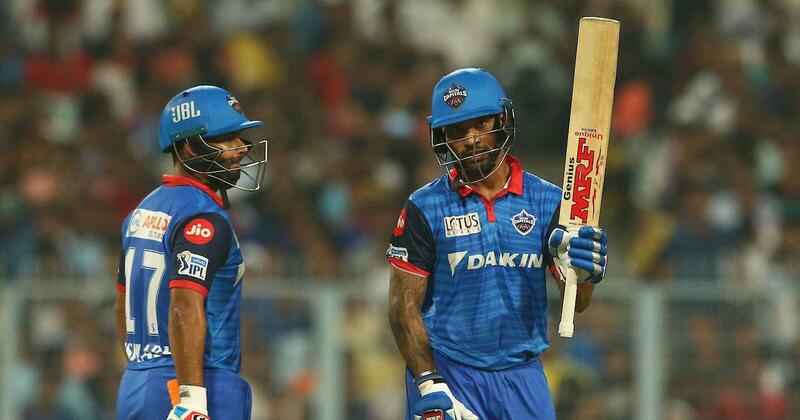 Shikhar has had a hugely successful IPL career and will be an invaluable addition to team Delhi with the wealth of experience he brings,” Delhi Capitals director Parth Jindal had said in a statement. But for much of the early 2019 season, Dhawan just wasn’t able to find any rhythm. Coach Ricky Ponting and team mentor Sourav Ganguly wanted him to play with the freedom that he is capable of but the left-hander just wasn’t able to get going. 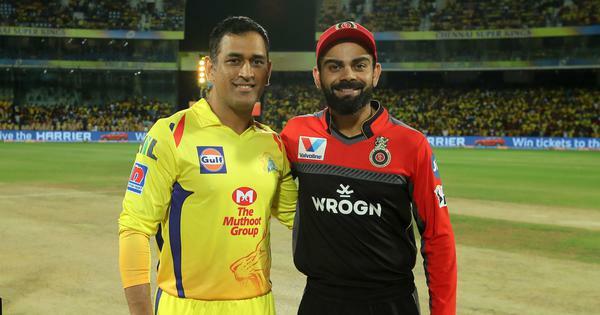 They knew that his strike-rate in the IPL has never been too high but in a team filled with youngsters, he was expected to be the glue in more ways than one. And against the Kolkata Knight Riders, it all seemed to come together. Yes, he started off slowly, he took 6 balls to get off the mark, and had some luck [but then which T20 innings doesn’t have luck] but the manner in which he controlled the chase was a huge boost to a Delhi team which has struggled with random collapses. Delhi have the big hitters but they need the experienced hands to guide and advise them in the middle. Dhawan is familiar with many of his team-mates and the city — since he represents Delhi in the Ranji Trophy — and that has allowed him to settle in quickly. KKR’s bowlers tried everything against Dhawan but he seemed to be up for the challenge on the day. Once the left-hander starts driving through the covers, one just knows it is going to be his day. And he did that multiple times during a classy 97 (63 balls) that took Delhi to victory. He also stitched together a century partnership with Rishabh Pant, who for once seemed to take his time in the middle initially. More importantly, he stayed right till the end. He finished the match — well, Colin Ingram did that with a six to deny Dhawan a well-deserved century. But it was heartening to see Dhawan instantly applaud the winning shot. Some others might have grumbled about missing a T20 century [It would have been Dhawan’s first in T20 cricket] but his reaction to it gave us a measure of his maturity and also how he is coming to understand his role in DC. Even when out-of-form, Dhawan’s body language always remains positive and he remains a good influence on the dressing room. But now that he is starting to do it on the field, the Delhi team look like a very different outfit; a very dangerous outfit. For now, after 7 games, Delhi have climbed into joint third place but Mumbai Indians have a game in hand.